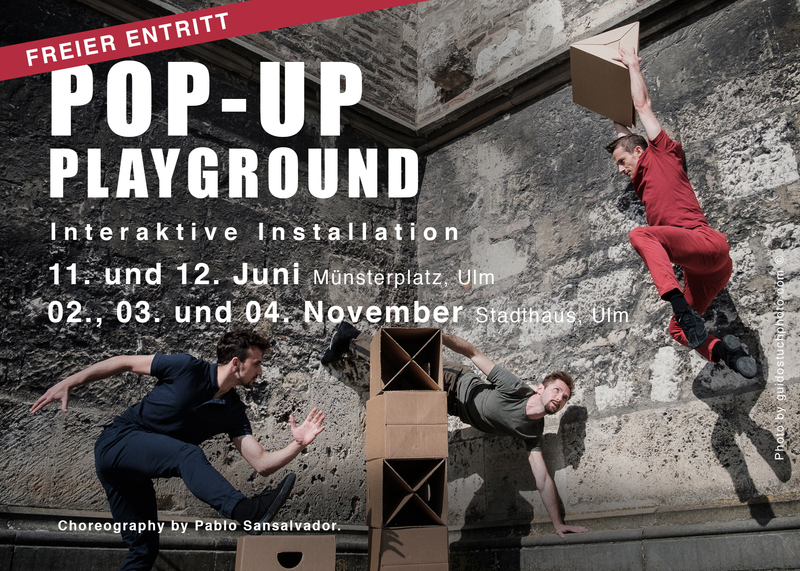 “Pop-Up Playground” is an immersive social installation. It enables unexpected interactions between inhabitants and visitors encouraging urban creativity. It is an installation inspired by the concept of “lego”. Three hundred cardboard cubes will be placed in the Munsterplatz. In November an exhibition in the Stadthaus will show the outcome of such experience. This idea was born after our last performance (´What makes us human?´) where the public spontaneously started piling the boxes up into a tower. This action produced more interactivity between the public and encouraged people to move, help and participate in a common goal, inspiring different layers of communication. We want to offer opportunities to provoke urban and street participation that is free and without barriers in the streets as well as bringing interactivity in a museum context. We consider that incorporating colour, movement and interactivity into our daily routine, we can contribute to a healthier and more positive society.